Opel/Vauxhall has released details on the Astra GTC ahead of the model’s world debut at the Frankfurt show in September. The GTC is a three-door variant of the C-segment Astra, but isn’t the same car with two doors lopped off – the only bits carried over from the five-door hatch are the door handles, wing mirror housing and roof aerial. 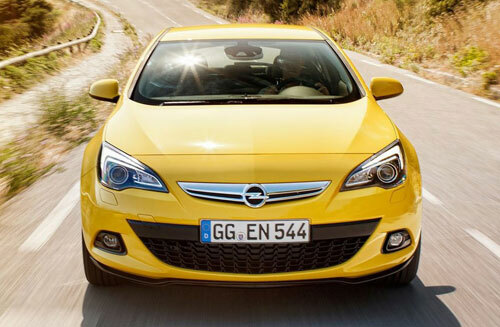 This approach is also used by VW for the Scirocco and the Renault for the Megane Coupe – cars the GTC will rival. The Astra GTC started life as the GTC Paris Concept from Paris 2010, and retains much of the showcar’s looks. However, it must be said that the showcar appeared incredibly realistic from the start, and its production future was never in doubt. Prominent design cues include the Opel signature blade (started with the Insignia) and another line that sprouts from the door handles. The front and rear lights have “wing shaped” elements. All of these were also on the Paris Concept. Opel is keen to highlight the GTC’s front High Performance Strut (HiPerStrut) suspension, similar to than on the Insignia OPC. Compared to the standard Astra’s McPherson strut, HiPerStrut reduces kingpin inclination and offset and has a shorter spindle length. This improves grip and reduces torque steer, offering GTC drivers the “sporty, crisp feel they expect, with enhanced precision and feedback.” In addition, HiPerStut reduces tyre flops, which allows the car to accommodate bigger wheels. The rear suspension combines a torsion beam with a Watt’s link, something unique to Opel. Compared to the five-door, ride height is lowered by 15 mm. The GTC also has wider tracks, +40 mm in front and +30 mm in the rear. 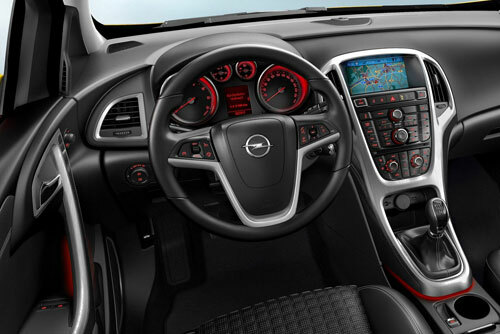 Opel’s adaptive FlexRide chassis control system with Standard, Tour and Sport modes is also available. At launch, the Poland built Astra GTC can be had with a choice of four powertrains – one diesel and three petrol. The upgraded 2.0 CDTI has 165 hp/380 Nm and does 0-100 km/h in 8.9 seconds. Top speed is 210 km/h. Paired with a six-speed manual and start/stop, combined fuel consumption “does not exceed” 4.9 litres per 100 km. Two of the petrols are 1.4 turbos with 120 hp and 140 hp. Both have 200 Nm of torque. There’s also a 180 hp 1.6 turbo that can reach 220 km/h. Not enough? There will be a high-performance OPC variant in 2012.